Cookies - ready to bake! 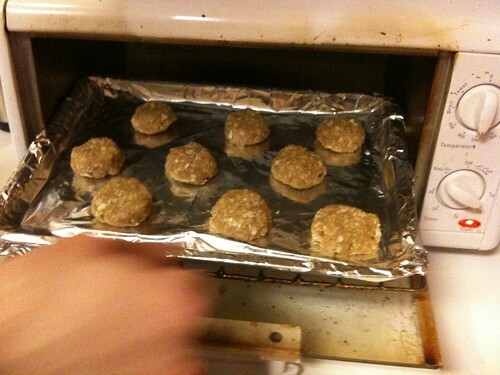 The Toaster Oven should already be set to 350 degrees. Bake for 11 minutes and then enjoy!